I just added shadow support in Crystal-2.1.1 (for KDE 4.8) and Crystal-2.2.0 (for KDE 4.9), as well as some minor fixes. 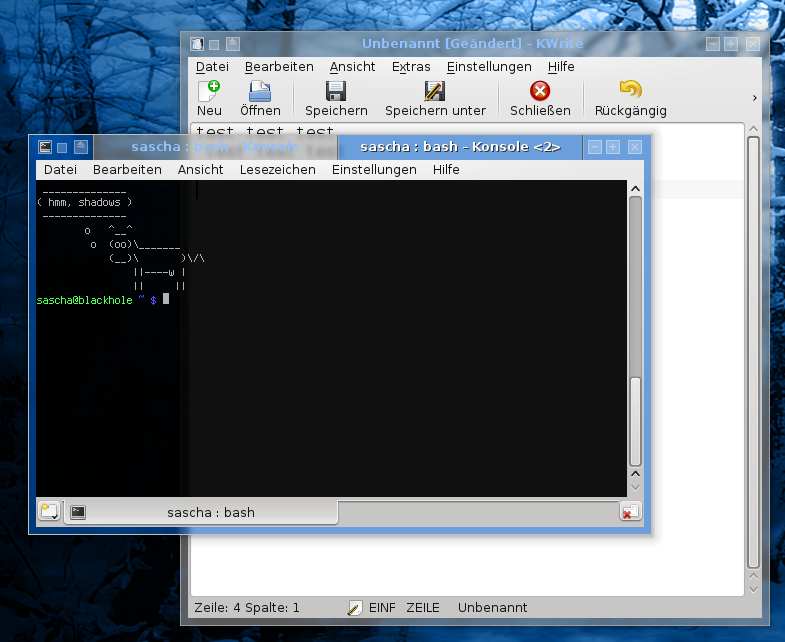 Since KDE 4.8 the window decoration itself is responsible for rendering shadows when compositing. Because Crystal uses an unstable kwin API to support tabbing, versions before 2.2.0 are unable to compile, which has the exact same features than 2.1.1. The shadows aren’t the prettiest but better than none. Hopefully I’ll have time to do further improvements, refactoring, increased speed, stability and graphical improvements. I hope to get a stable crystal release, which would blend in well with the rest of KDE SC.